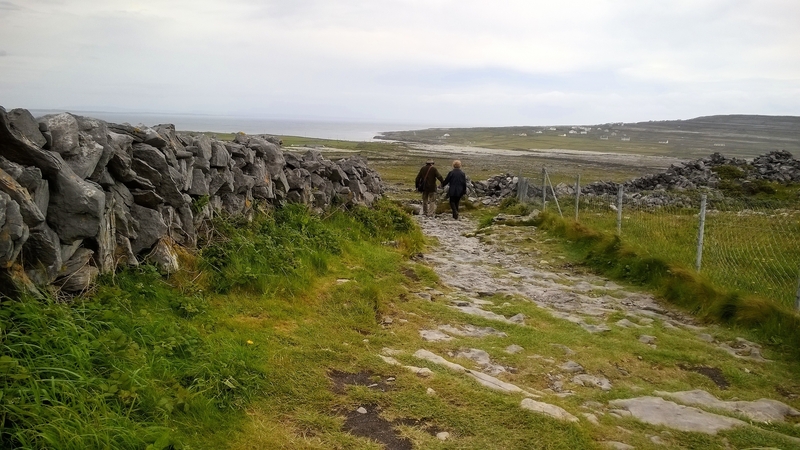 I have no idea who these people are, but they held hands on the uneven path down from Dun Aengus fort. I was just taking a picture of the landscape and happened to catch a commonplace bit of love. Now I love them, too!